And whats your problem exactly ? I dont sure how this is related to phalcon, its only css bro. 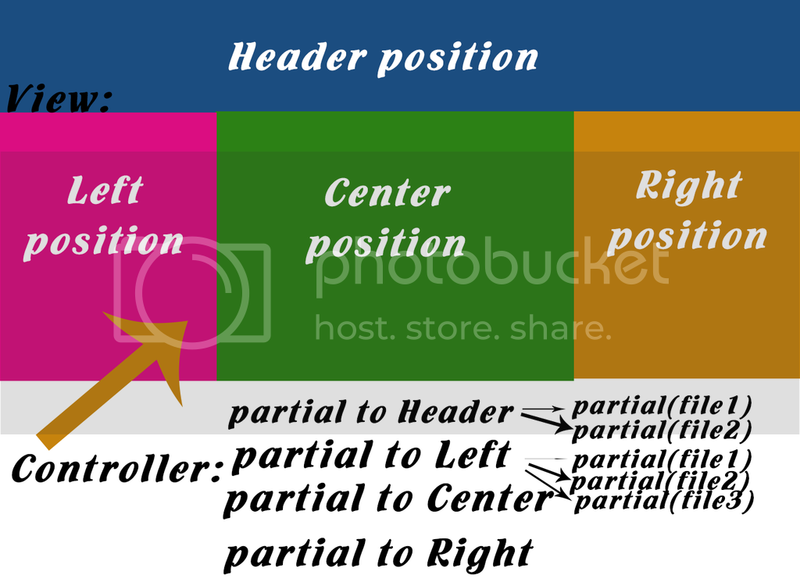 Just in "base" template file make divs for left partial, center partial, right partial and heder where you will place them and their content will be your partials. No. He/She want's to split one controller into 4 controllers.